High quality steel whistle. The best choice for instructors, coaches, or referees. Black 19" adjustable nylon lanyard (.25" thick). 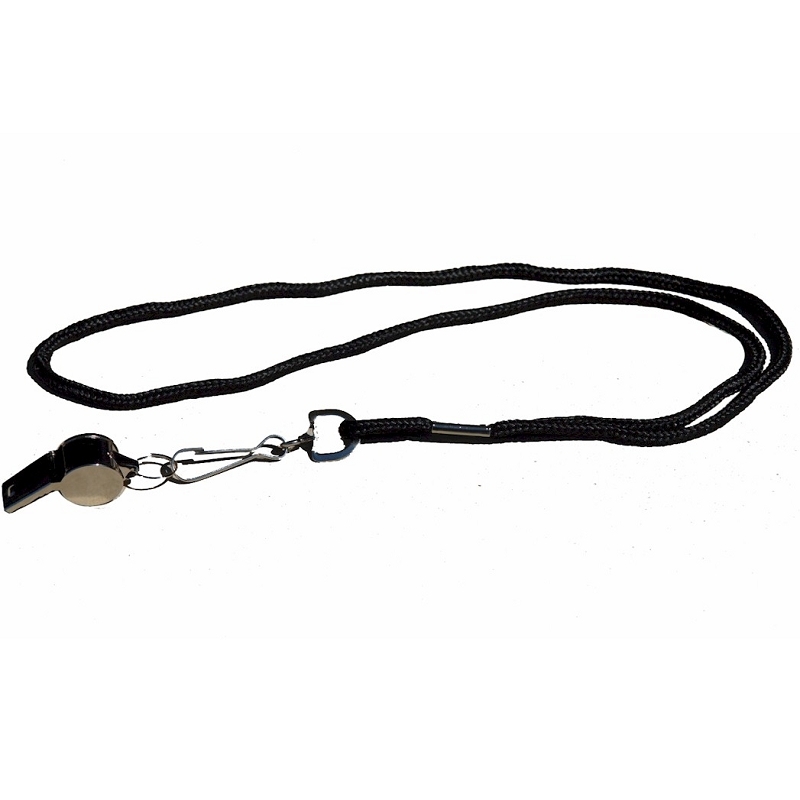 Lanyard features a metal J-hook where additional items can be added. Built to last under extreme conditions. Individually polybagged.